Hong Kong is the overall most expensive in Asia-Pacific and is the second most expensive city in the world (after Luanda). Singapore is the second most expensive city in the Asia-Pacific region for expatriates (4th most expensive in the world) and tops the region rankings when costs related to housing, education, medical and transport are excluded. 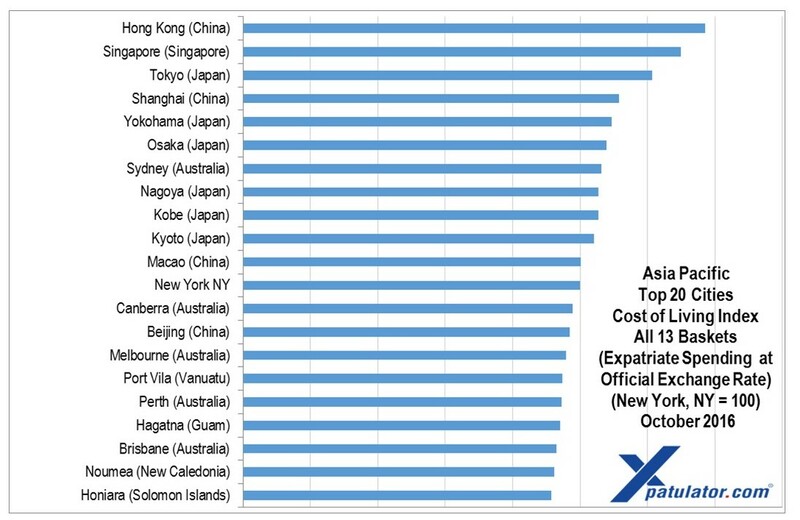 International expat cost of living comparison rankings for world cities and countries. 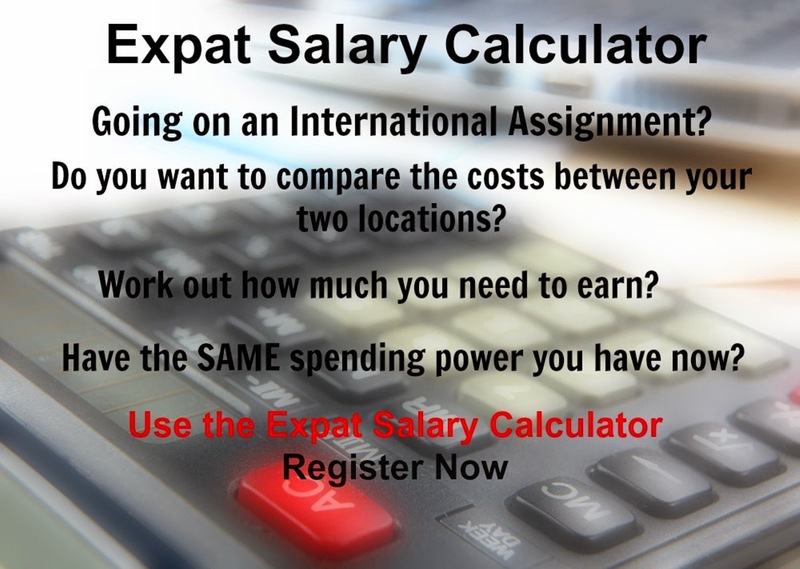 Luanda is the most expensive city in the world for an expatriate professional migrant to live in 2016. The top ten most expensive cities in the world comprise three from Africa (Luanda (1); Asmara (3); Kinshasa (10)), three from Asia-Pacific (Hong Kong (2); Singapore (4); Tokyo (7)), three from Europe (Zurich (5); Geneva (6); Oslo(8)), and one from America (Hamilton(9)). 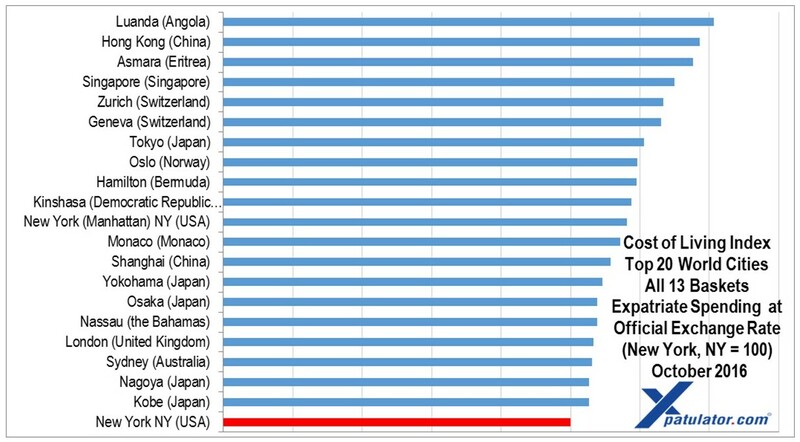 The top ten most expensive countries in the world as at December 2016 comprise three from Africa (Angola) (1); Democratic Republic of the Congo (5); Eritrea (7)), three from Europe (Norway (2); Switzerland (3); Denmark (8)), three from America (Bermuda (4); Cayman Islands (6); Bahamas (9), and one from Asia Pacific (Japan) (10).